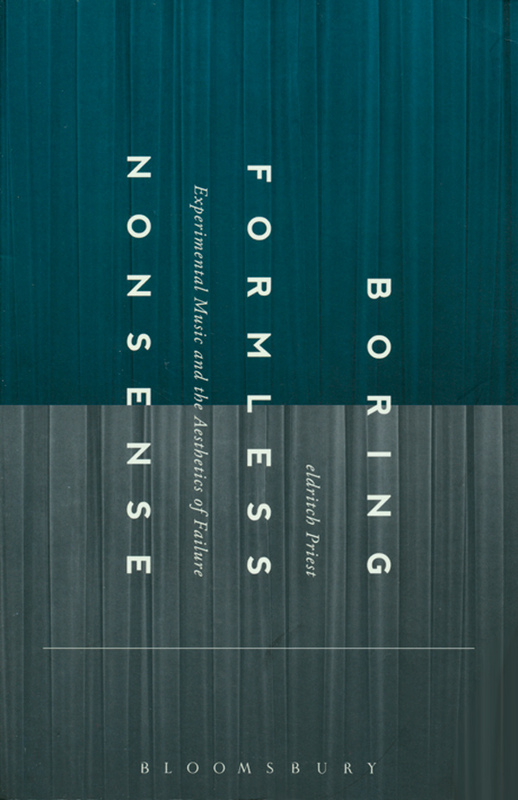 Given the prolific current production of theory about experimental music (especially its “noisy” edges), this book represents a brave and solitary effort in trying to weave together the threads of a highly heterogeneous scene in one possible unifying aesthetics. It’s an intriguing speculative journey around the three essential concepts juxtaposed in the title, where the “failure” resounds everywhere as either a strategy, an accident or a direct consequence of what a significant part of contemporary music is producing. The author’s informed aesthetic awareness is employed in the project of analysing broader views of the multifaceted way we listen to music, what types of other attitudes and instinctive reactions are involved and relationships/interferences with different, related cultural fields. What emerges, page after page, is a sophisticated (sometimes even a bit intricate) and knowledgeable discourse, which takes the reader down enlightening, charmingly obscure, even slightly disturbing paths, decoding a great amount of experimental music. The author’s integration of themes in the title (one of the keys to appreciate the text) locates a certain logic and multiple interwoven meanings in the apparent dis-functionality of musical gestures and structures. Priest’s approach is experimental itself (the use of parenthesis in the 3rd chapter title, for example), but preserves readability and style.